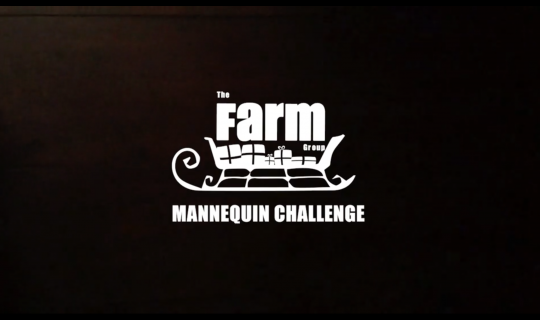 THE FARM GROUP’S X-MAS MANNEQUIN CHALLENGE! The #mannequinchallenge hit The Farm’s x-mas office party, along with some fabulous clients including The X Factor, 24 Hours in A&E, STV & DazPix and lots of bubbly! #farm4life #mannequinchallenge #postproduction #tv #christmas #office #party #XFactor #24hoursAE #STV #Dazpix, watch the alternative to the official royalty free version featuring the 2016 Billboard number one single “Black Beatles.” by hip hop duo Rae Sremmurd aka The Fresh Princes of Turn Up in full below.